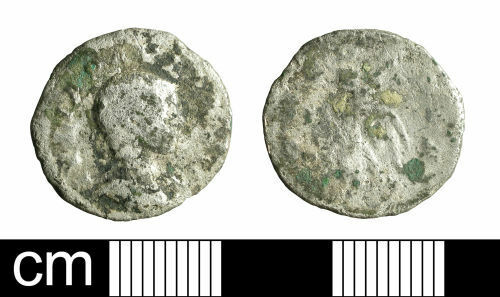 A silver denarius of Julia Paula, wife of Elagabalus, dating to the period AD 219-220 (Reece period 10). CONCORDIA reverse depicting Concordia seated left, holding patera, star in left field. Uncertain mint. RIC IV (part I), p. 45, no. 211. Dimensions: 18.4mm diameter, 1.5mm thick. Weight: 2.47g. Reverse description: Concordia seated left, holding patera; in left field, star.